Generally, I bring pasta for lunch at work. It’s easy to make the night before, versatile, and cheap. I love making different types of sauces or adding different types of veggies, which also keeps things interesting. Using a mortar and pestle (or in a food processor or blender), grind up basil, garlic, and olive oil. 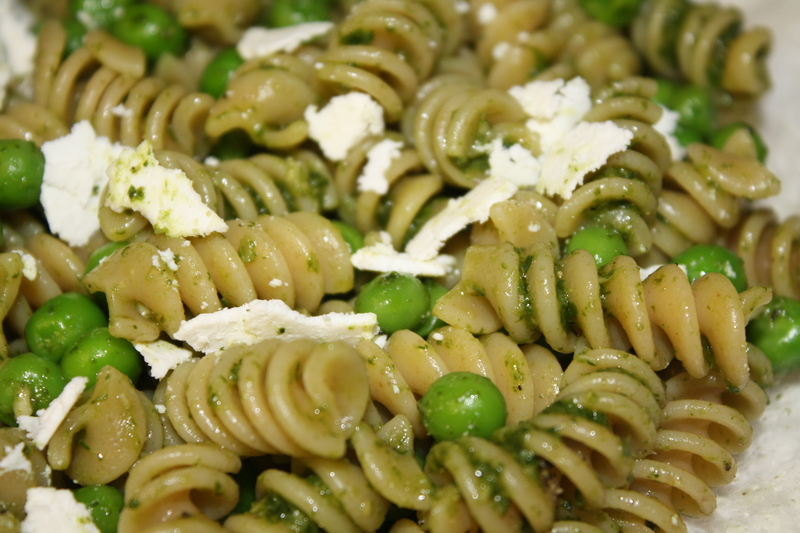 Pine nuts or walnuts can also be added – there are lots of pesto recipes online, please experiment! Meanwhile, put a pot water on to boil. When it boils, salt well and add pasta. Cook according to package directions, and in the last 30 seconds of cooking, add the peas to the pot. Drain and toss with pesto. Top with shards of ricotta salata and a few cracks of pepper. 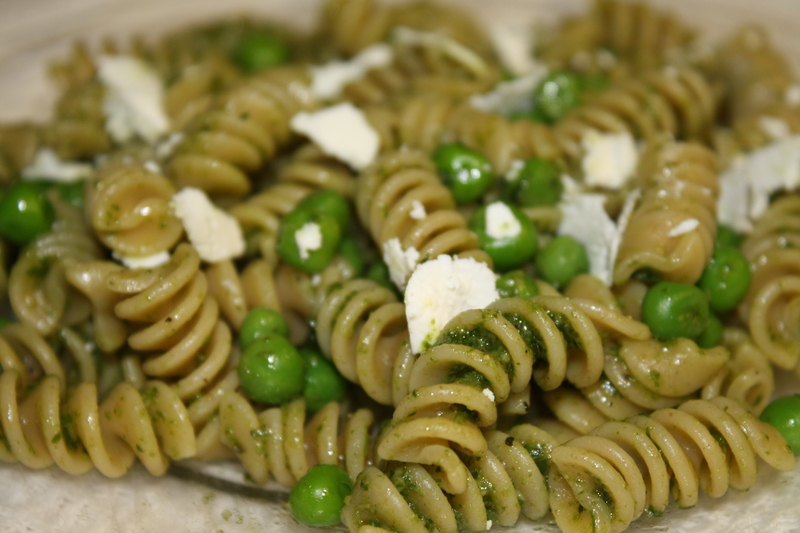 This entry was posted in cheese, pasta, vegetables and tagged cheese, food photography, healthy, healthy pasta, lunch, pasta, peas, pesto, photo, ricotta salata, tips by Laura Zolnoski. Bookmark the permalink. hmm.. so is that what smelled so good in the office?! That smelled so yummy…..i have to make it!